Posting a job ad on Legally Jobs is the easiest and most cost-effective way to find the perfect lawyer to work in your law firm or organisation. It works: Hundreds of law firms, companies, NGOs and advocates have used Legally Jobs and most keep coming back. We got a lot of relevant CVs but were able to deal with them very quickly. We interviewed three strong candidates and hired one. We saved a lot of money and time compared to using a recruiter, and even the quality of some applicants was better. I found more high quality Indian candidates within two days of posting on Legally India than I found in my entire two week search previously. Next time I’m recruiting lawyers in India, the site it will be my first port of call, no question about it. We hired a senior associate who applied through the site, it was very easy and good. You will start receiving appropriate CVs of candidates immediately by tapping into the huge Legally India readership and targeted job hunters. Click here to download and complete our job description template or use your own. Then email it to and we will do the rest. It really is that simple! If you are looking to centralise and improve your internship application process Legally Jobs can help you too by posting your internship openings for you for free. 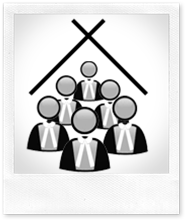 Why should you hire lawyers through Legally Jobs? Target Legally India’s audience of thousands of legal professionals who visit this site every week. Applicants must provide the most vital information, which is clearly presented to you making it easier to filter the good from the inappropriate. Law school, graduation year, specialisation and more is visible at a glance in application emails without delving into CVs. Applicants are required to write a cover letter of a minimum length to give you a better feel of their language skills. Legally Jobs actively encourages and supports applicants to make appropriate and relevant applications every step of the way. No more wasting of several partners’ time dealing with CVs - all applications go directly to a central email address of your choice with our intelligent filtering for basic suitability. Interact instantly with applicants, confidentiality assured. The basic pricing starts at Rs 9,000 plus tax for a job ad, which will stay live for at least two months. We are also happy to discuss bespoke solutions and bulk discounts directly. Advertising internships is always free. Contact us () for more information. Then email it to and we will do the rest. And if you have any queries, please send us an email at or give us a call on 0900 405 6651 any time.